If you’ve read the “About The Diva” page then you’ll know that before I took on being domestic, I was once a full-time corporate slave in the marketing rat race. A job that requires frequent travels, late nights, crazy deadlines, stressful presentations, and regular visits to the salon. No. I just made the salon thing up, that was self-imposed 🙂 My point is, I was a weekend mom– a term better than “absentee mom”, don’t you think? Anyway, my son practically grew up with the nanny. We were so lucky to have one who was with us before the Little Boy came until the time when we had to move overseas. She was ever dependable and I totally trust her with the boy so I felt no jealousy when he uttered “Ate” before learning the word “mommy”…. none at all… Okay, I wanted to scratch her face when I first heard that but hey, she was taking good care of my boy while I was gone so I should be cool with that. 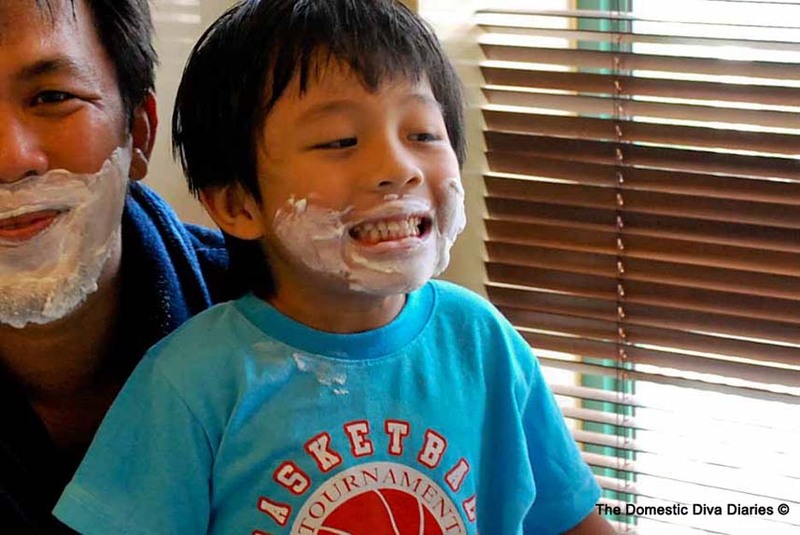 When weekends would come and it would be my turn to look after him, Little Boy would give me a puzzled look. He was too young to talk so I could just see his thought balloon saying “Who is this woman?? ?” to which I would reply, “Anak, ako ang tunay mong ina.” (Son, I’m your real mother). That would be his cue to cry. 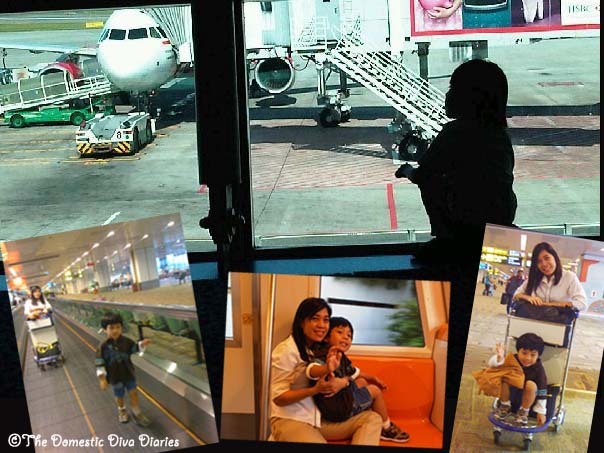 When the nanny would come home from her day-off, he would run towards her and exclaim “I miss you, Ate!”. Again, no jealousy there even when he would only give me a wave when I would get home from a week-long trip. And when he finally learned to talk, he even coined a nickname for his nanny: Ate Cute, while he calls me The Stepmother. Darn those fairytales! 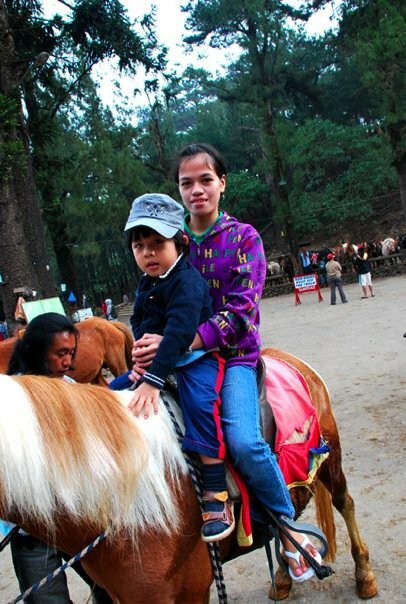 Little Boy and Ate Cute enjoying Baguio City while I was attending an official event in Burnham Park. Well, here we are in Jakarta, Indonesia which the three of us call home (for now) building our new family life together. We could be in another city in another country in a few years but still together and making some more memories. How about you? Any wonderful beginnings or breakthroughs in your life recently? congratulations on finally getting on with a blog! fill it with your one-liners and smart-aleck lines and it will surely be a hit! Congratulations on your newest hobby! Keep on blogging sistah! Hi Amory, nice blog. Why not write for a fee hehehe.You’re really good at it. I wish I could write my adventures here in Qatar. ..keep ’em coming! 🙂 hhoooraaayy! Thanks for visiting the site Net!!! I have read so many content regarding the blogger lovers however this article is really a nice paragraph, keep it up.